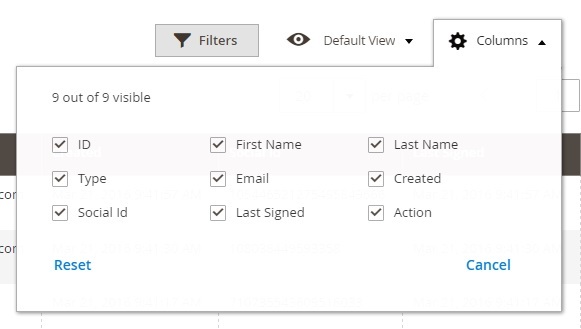 In the following post, we are going to describe one of the most requested features unavailable in the default Magento – the social login feature. Every store visitor will more likely become a buyer if you provide him or her with the ability to login via a social network account. Long and tedious registration distracts people from your website, but it is no longer a problem since you can easily install Aheadworks Social Login for Magento 2 and take advantage of the module’s functionality. 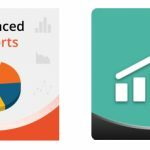 The extension helps online store owners increase customer retention, number of website visits, and conversion rates by offering online buyers more flexibility of login options. Furthermore, ecommerce merchants get more possibilities for collecting and analyzing customer data via social accounts. Below we describe all other advantages of the Social Login module by Aheadworks. All social accounts are managed from the grid at the backend. The Aheadworks Social Login module adds social login buttons to your website pages, providing users with quick registration and authorization options. The extension also lets customers create accounts via their profiles on various social networks. Furthermore, they can easily connect it with existing store accounts. As for available login options, Aheadworks Social Login for Magento 2 supports Twitter, Facebook, LinkedIn, Instagram, Google+, Pinterest, vk.com, ok.com, and PayPal. Thus, online shoppers can drastically save their time on website registration, which improves general shopping experience on your web store. The social login buttons are available not only at customer login or registration but also on checkout and shopping cart pages, which substantially improves the default user experience for both Magento 2 and 1. Magento admins can set the order of login buttons on a page, as well as add other blocks in addition to the default ones. Moreover, with the Social Login module, both customers and admin users get an opportunity to see and manage all social network accounts from one place. As a store owner, you get the ability to collect all social IDs as well as social account emails in a grid. Besides, it is possible to export all the mentioned data. Using the Social Accounts grid, you can analyze the most popular social networks with your customers and use this info for more efficient social media marketing activities. Also, social networks provide more details on customers’ profile, like personal info, interests, and friends from Facebook, or professional background, education, and skills from LinkedIn. 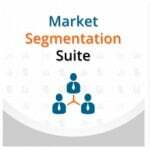 The collected customer data can then be used for customer groups segmentation based on location, age, gender, profession, and other criteria. Note that for Magento 1, Aheadworks offers Social Media Bundle that not only adds the desired login feature, but also provides the ability to like, follow, comment, tweet, share product pages, and pin products on a Pinterest board. Now, when you know the module’s main features, we can explore how it works from within. The extension can be configured under Stores -> Settings -> Configuration -> Aheadworks Extensions -> Social Login. There are 11 blocks of settings available here: General, Login Block, Twitter, Facebook, Google, LinkedIn, Instagram, Pinterest, Vk, Odnoklassniki, and Paypal. In General Settings, you should only enable/disable Aheadworks Social Login Magento 2 extension. As for Login Blocks, here you can activate social login for the four pages mentioned above: login, registration, cart, and checkout. Besides, it is possible to add more login blocks here. Next, there are nine similar sections related to 9 social networks available with the module. Each section contains the following options: Enabled, Consumer Key (API Key), Consumer Secret (API Secret), and Sort Order. Note that Odnoklassniki section has one more option – Public Key. Action (you can view all customer data here). The existing order of columns can be rearranged. It is only necessary to drag and drop a column to a new place. Besides, you can apply sorting to every column except Checkbox and Action. All columns can be hidden. The only exception is Checkbox. 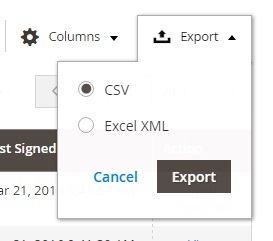 As for export, the Aheadworks Social Login Magento 2 extension offers two options: CSV and XML. The renewed Customer Login page provides the ability to log in with all social media enabled in the backend. In the below example they are Instagram, LinkedIn, Google, Facebook, and Twitter. 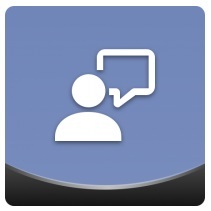 To link a social ID to a customer account, go to My Dashboard -> My Social Accounts. There are connected accounts shown there, which you can easily unlink. Besides, it is possible to link new ones. The most wanted missing functionality can be easily added to the default Magento platform. You only have to install the Aheadworks Social Login extension, and your Magento 2 or Magento 1 website will get the lacking social login options. Since customer experience is everything in ecommerce, the module is a must-have solution, so don’t hesitate to give it a try. Aheadworks Social Login for Magento 2 costs $249, but you can get a 50% discount if you already use the company’s M1 modules. As for Social Media Bundle for Magento 1, it costs $139.